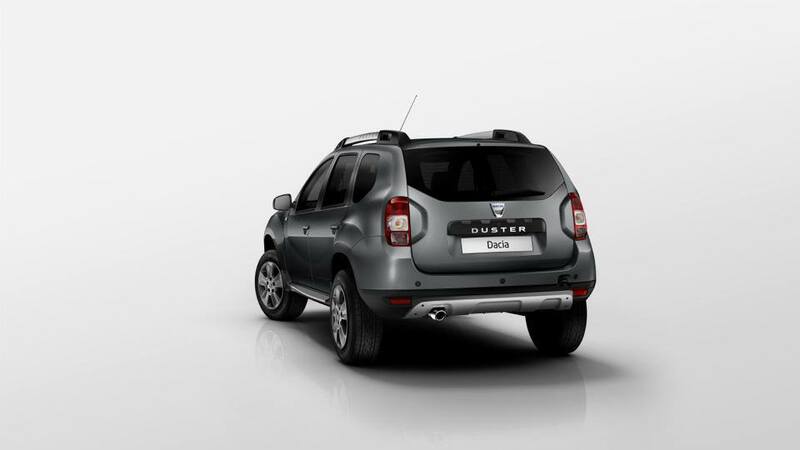 The Dacia Duster facelift which is the presented at the upcoming FrankFurt motor show starting 10th Sep 2013, is already leaked on the web. Here are the first shots of the car - the front and the rear images. The external upgrades in terms of revised front grill - of which the cues are taken from the Land Rover design. The front also gets two chrome-plated bars, a new air intake and new double-optic headlamps featuring daytime running lights. 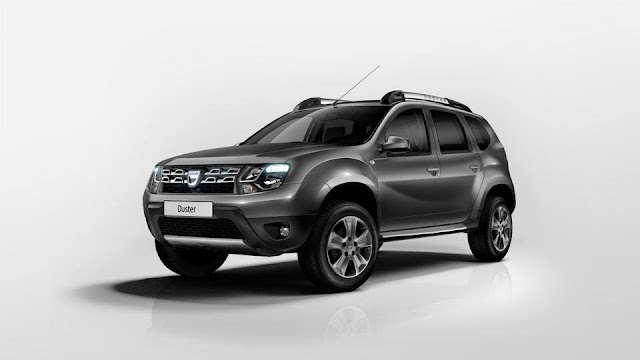 Duster logos are spotted on the roof bars, while the car stands on 16-inch “Dark Metal” alloy wheels that are shod with “Mud and Snow” tires. The images of the interiors are yet not revealed however as per sources, an inclusion of Cruise control is on the run along with other changes in interiors and features. We built on the appeal of the original model and its proportions. Identity components such as the grille have been modernized. We have also strengthened the 4×4 cues of the vehicle, while keeping all its useful features. New Duster gets an even stronger character while retaining its initial DNA. More Images on the facelift version are here !